There are many differences between the thick and thin hair and many scientists have been trying for years to identify and find solutions for each of the type. You cannot really truly understand the differences between the two without getting through some fundamental notions about hair. you need to understand about hair density, thickness measurements, how thick and thin react to various haircuts- in a nutshell, everything about the care and the qualities of both thick and thin hair. Can you tell the thickness by the hair cut? Is thickness visible just like that? Do color and ethnicity count in terms of thickness of hair? What can you do for keeping your thin hair healthy? How to protect when styling? What about thick hair? What does it need? Is thick hair better than thin hair? The numbers of hairs on your head gives the density of your hair. as a matter of fact, density is the most obvious difference between the thick and thin hair. It kind of makes sense that the thick hair presents a higher density, whereas the thin hair has a lower one. In order to determine the density of your hair, you’re going to need to find out the number of hairs on one square inch of your head. Most humans have around 2,200 hairs per square inch. If you have a lot more than that, you have thick hair (kudos to you), whereas less than 2,200 is common for thin hair. Hair grows from a pocket-like hole (follicle) and people with thicker hair do have more follicles than those who have thin hair. The size and shape of the hair follicles are fundamental for the thickness of your hair. The size of every hair follicle is going to affect how thin/thick your hair shaft is going to grow. Large follicles are going to produce thick hair and the small one’s result into thin hair. The amount of hair follicles also plays a big part in the thickness of your hair. As stated before, a bigger amount of hair follicles means thicker hair, whereas thinner and finer hair appears when there’s a lower amount of hair follicles. You may identify easier the difference between the thick and thin hair. if the length of your hair allows you to gather it into a ponytail, the circumference of the ponytail is going to tell you about the thickness of your hair. a thin hair is going to have 2in or less for the circumference, whereas the thick hair is going to be around 4in or more. Anything between the two is “normal” and it’s not considered to be thick or thin. Another way to find out about the thickness of your hair is by noticing how a haircut is affecting it. A layered cut is going to bring the best out of a thick hair, whereas a blunter cut is going to work better for the thin hair (as the hair is going to fall at the same length). Any style that gives volume, curling including, is going to help the thin hair look way better, whereas the thick hair is going to look nicer with a straighter style. One with thick hair should stay away from too much volume, anyway. You can also identify the thickness of your hair by simply looking at it. You need to begin with washing it and letting it dry. Keep in mind not to towel dry nor style the hair in any way after washing it. Styled hair and dirty hair are going to make the identification less accurate. Hold just one strand of your hair in between the fingers and pull it gently in front of your face so that you can take a good look at it. If it’s difficult for you to see it, your hair is fine. If you’re rolling the shaft between the fingers and can barely feel it, your hair is definitely thin. As for the thick hair, it’s really easy to feel when you roll it between your fingers. It can also feel a bit wiry and coarse and you never have problems noticing it. Even if this isn’t mandatory, color and ethnicity also count when making the difference between the thick and thin hair. blondes and brunettes typically have thick hair, whereas redheads regularly have thin hair. As in terms of ethnicity, it seems that Caucasians to tend to have thicker hair, whereas thin hair is more common for the Far East Asians. Even if color and ethnicity can help for making differences between types of hair, it’s mainly the measurement that is going to help you know for sure if you have thick, thin or normal hair. The moment you know which type of thickness your hair is, it’s going to be easier for you to try specific haircuts or hairstyles. There are many differences between the hair styles that you should try according to the thickness of your hair so you’d better begin with a measurement. Split ends don’t look good and they’re not good for the health of your hair either. You may perfectly trim the split ends at home every six weeks. Twirl your hair around the fingers and trim the small ends of hair that stick out. When you’re getting rid of the split ends, you’re actually helping your hair get healthier and thicker, which is something you always want if you have thin hair. 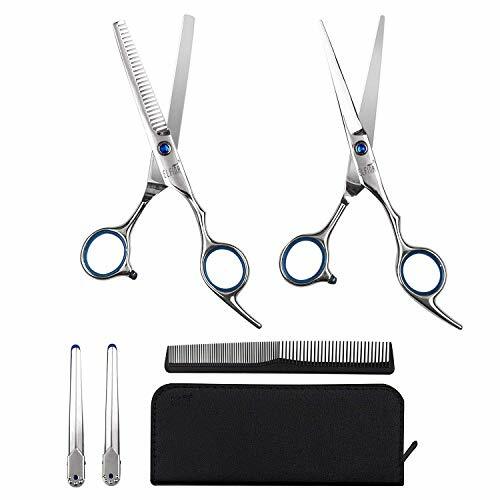 If you have a steady hand, don’t hesitate to trim your hair at home and the Hair Cutting Scissors, Hair Thinning Shears Kit is going to help you do a good job. Made of high quality stainless steel, the scissors are sharp and come with rubber gasket in the handle areas for better performance. In order to make your hair thicker and stronger, you’re going to need to use a lot more than some hair care products. it’s really the vitamins and the minerals that are going to help per se. 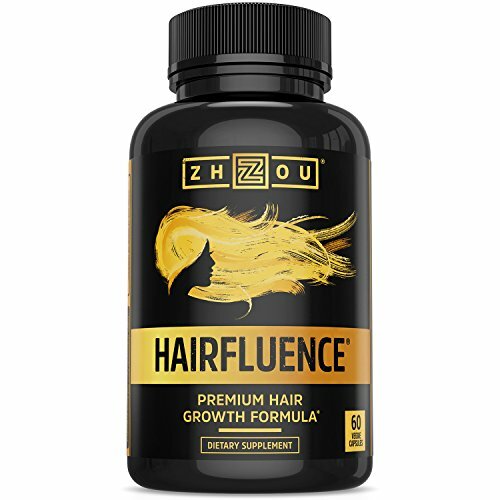 Some food supplements that contains biotin, zinc, niacin are going to help your hair grow thicker and stronger. You can have a shot at it with the HAIRFLUENCE – Hair Growth Formula for Longer, Stronger, Healthier Hair. they sustain a healthy hair and hair growth and the formula includes biotin, keratin, vitamin C, bamboo extract, folic acid, MSM, vitamin B12, A, D3 and E- all promoting healthier, stronger and shinier hair. You should keep in mind that biotin is very well known for its ability to reduce the risk of thinning hair. It’s capable to strengthen your hair’s natural keratin structure and a biotin supplementation is always going to help a thin hair. You can also find biotin in various foods (nuts, organ meats, egg yolks, whole grains, legumes) so make sure you have them in your daily diet. Washing your hair less frequently is going to be good for your hair. twice a week is a good number and it’s going to maintain the natural oils in your hair, reducing the risk for breakage. A thin hair sits on the greasy side most of the time too and washing it too often is going to make your scalp produce even more oil. It’s best that you don’t let your hair get too greasy as you increase the risk for shedding. Keeping a balance is the best way to go. 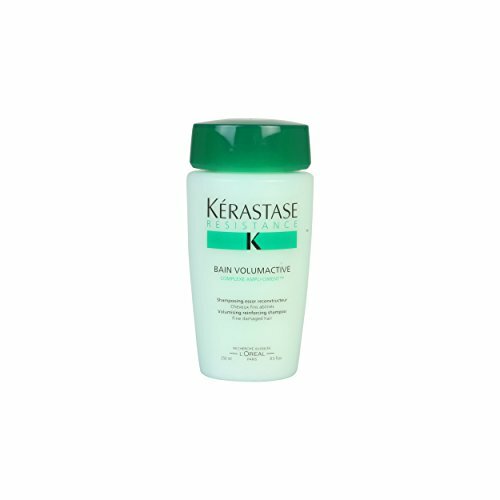 Try the Kerastase Resistance Bain Volumifique Thickening Effect Shampoo as it’s going to cleanse your hair in a gentle way. Containing ampli-ciment complex, it’s going to work for a thin hair, strengthening it and improving its texture. It gives body and volume to thin hair and works great for the vulnerable hair that the thin hair is. You should look for the follicle-stimulating shampoos that are made with peptide complex that is going to strengthen the hair follicle. 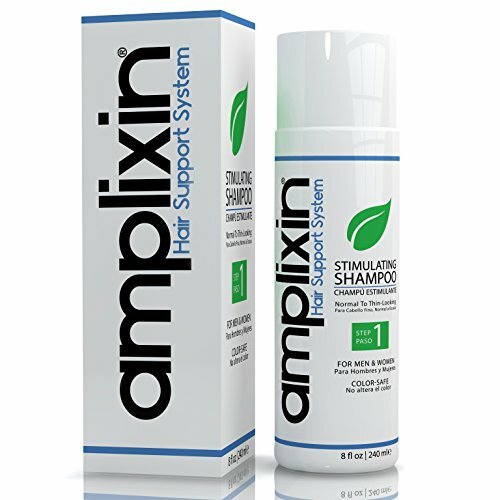 Made with Ampligro complex (caffeine, Bio-mimetic peptides and red clover), the Amplixin Stimulating Shampoo – Healthy Hair Growth & Hair Loss Prevention Treatment for Men & Women with Thinning Hair is going to reduce the risk for hair thinning and works for thin hair in men and women. It’s sulfate –free, paraben-free and has no harsh chemicals that could irritate the scalp or the hair. The thin hair is going to get better when you’re using a shampoo with no parabens or sulfates. Sulfates are no good as they dry out the scalp and strip the natural oils, drying out the thin hair. It’s better that you look for shampoo without SLS or ALS as sulfates have a degenerative effect on cell membranes. Parabens are no good either as they mimic the activity of estrogen (a hormone). Parabens may lead to rosacea and dermatitis, worsening various skin conditions and raising the risk for developing various estrogen-related cancers. 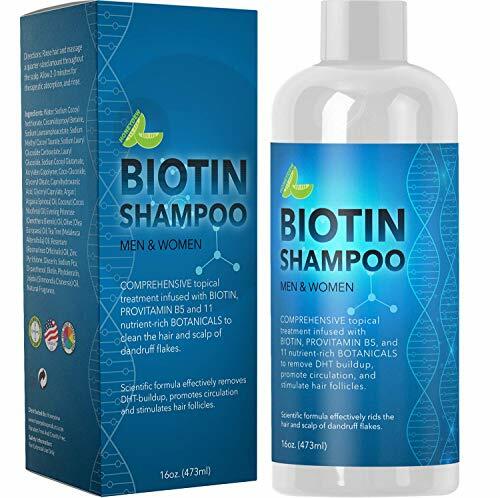 One amazing shampoo for the thin hair is the Biotin Shampoo for Hair Growth and Volume – Hair Loss for Men and Women – Natural DHT Blocker. Not only that is made with biotin which is going to give volume and texture to your thin hair, but the shampoo is also paraben and sulfate-free. It’s a gentle shampoo that is going to balance the oily scalp and greasy hair. Its formula also includes tea tree oil, keratin, jojoba oil, coconut oil, provitamin, olive oil, argan oil and evening primrose oil so it strengthens the hair and stimulated the hair follicles too. Don’t forget to add some oils for your thin hair. High in vitamin e, ricinoleic acid and omega-6, castor oil is going to boost the blood circulation in scalp and sustain a healthy hair growth. You can simply massage it into your hair or apply it to damp hair. Some like to wear it as a mask for multiple hours. 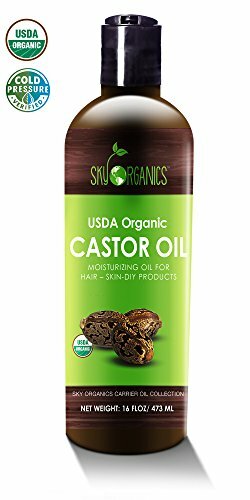 The Castor Oil (16oz) USDA Organic Cold-Pressed by Sky Organics is one popular option and it’s made with real castor oil. It’s chemical-free and works for all types of hair and skin. Rich in vitamin A and E, olive oil is another choice that benefits the thin hair. it eliminated the sebum buildup (which stops the hair growth), sealing in moisture and protecting the keratin in your hair. Help your hair get healthier and thicker with Hollywood Beauty Olive Oil. Reducing the risk for hair breakage, the olive oil is going to act like an efficient heat protector and treat your scalp too. If you are determined to thicken your hair, you should consider take collagen. You should do due diligence about the intake and give it some time to work. It’s going to last about 7-8 weeks until you start noticing a fuller hair. your hair is also going to grow longer too. Taking collagen doesn’t eliminate a healthy diet so you should combine it with a diet rich in minerals, vitamins and proteins. 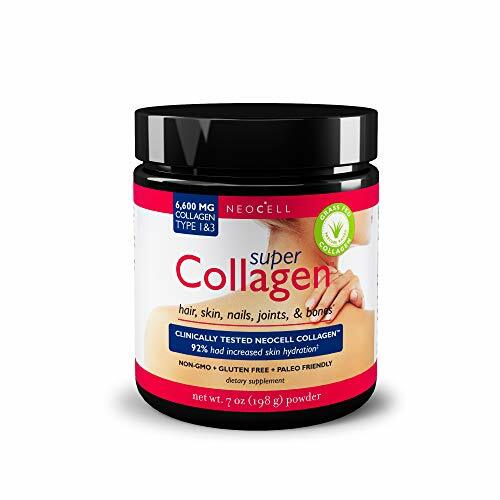 A popular choice out there is the NeoCell – Super Collagen Powder. It’s going to help your skin and hair get stronger and healthier, keeping your strength and flexibility throughout your whole body. Making your think hair look fuller and thicker is something you’re almost always looking for so here are some tips on the matter. No matter your final choice, never forget to use heat protection spray before styling it. Add the TRESemme Thermal Creations Heat Tamer Protective Spray to your shopping list. The heat protection spray is heat-activating and it’s going to protect your hair against the styling damage, keeping your hair in a nice shape. It leaves your hair shiny and reduces the risk for breakage. Even though one that isn’t born with thick hair, sees it as the ideal type of hair, it’s only the owner of thick hair that truly knows the challenges that come with thick hair. Having a nice volume and impressive number of options in terms of styling is all nice and fun until you need to put the frizz under control. You may envy the thick hair, but only when you have thick hair you know that you need to step up your game for keeping it all healthy, shiny and frizz-free. Thick hair is typically on the dry side of the hair spectrum, so you should always look for products that keep it hydrated and frizz-free. You may get away without washing for several days in a row before your thick hair gets a greasy appearance. don’t wash it too often as you may strip the natural oils from your hair, which is only going to dry it out later on. If you have greasy roots though, a dry shampoo may win you some days too. 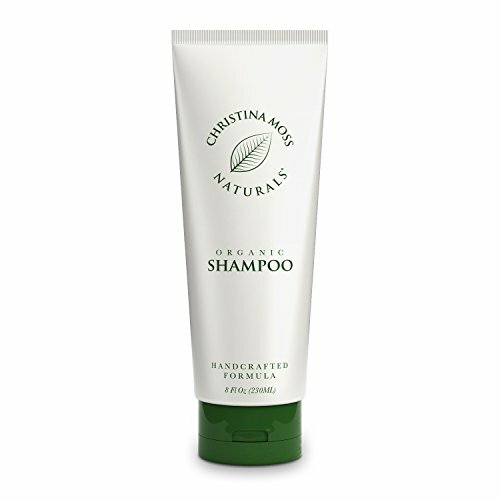 The Hair Shampoo – With Organic & Natural Ingredients by Christina Moss Naturals has a vegan formula and it’s going to wash and nourish your hair without drying it out or leave build-up in your hair. It produces a nice lather and benefits the thick hair, leaving it soft and hydrated. The hair oils are the thick hair’s best friends. They’re essential for keeping the frizz at bay and for moisturizing and nourishing the thick strands of hair. Coconut oil, argan oil are only some of the best options to use on thick hair. 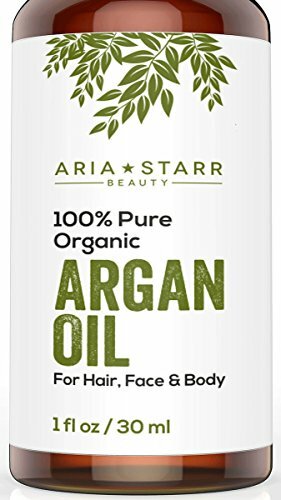 Take a leap of faith with the Aria Starr Beauty Organic Argan Oil for Hair, Skin, Face, Nails, Beard & Cuticles. The organic argan oil is going to benefit the dry and damaged hair, eliminating the frizz without leaving a greasy residue. It absorbs fast into your hair strands and its earthy aroma is rather pleasant. Hair masks are one healthy hair habit that you should include in your self-care regimen. as the natural oils in thick hair aren’t capable to travel down the whole length of your hair, your hair gets dryer and develops split ends. This is why the thick hair is difficult to tame and sits on the frizzy side all the time. thick hair is going to have dryer ends, especially if the hair strands are thick too. You can give it a go with the DIY hair masks made with egg, honey, coconut oil and avocado. 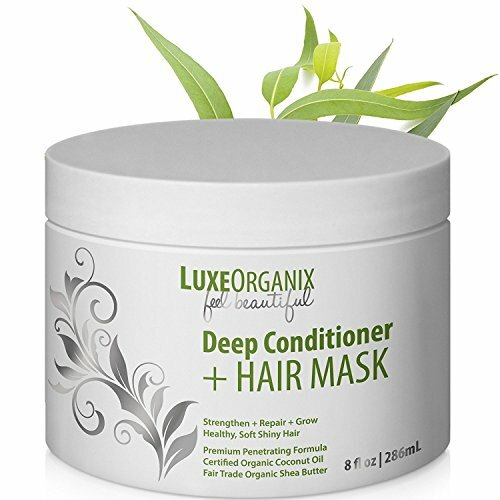 If that’s too much of a fuss for you, take a look at the Organic Deep Conditioner Hair Mask: Moisturizing for Shiny Smooth Manageable Hair by LuxeOrganix. The organic deep conditioning hair mask is going to strengthen and repair the dry and damaged hair, leaving it shinier and softer. The formula includes both coconut and organic shea butter, conditioning the thick hair on a deep level. As thick hair tends to have a nice volume and quite the personality, styling it the way you want is never easy. This is why you always need to use the right heat styling tools. Not all curlers or straighteners are created equal so you need to choose wisely. You should go with an ionic hairdryer for speeding up the drying session. The negative ions are going to break down the water droplets on your wet hair, which means less frizz, more shine and faster drying. 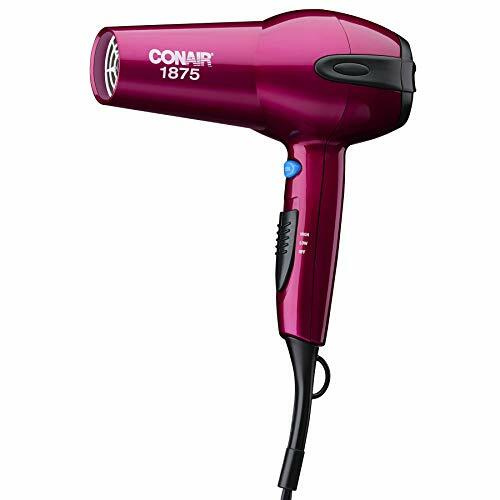 There are many options to try out there and you can give it a try with the Conair 1875 Watt Ionic Ceramic Hair Dryer. The hair dryer is made with Tourmaline Ceramic Technology, reducing the heat damage and leaving the hair smooth and shiny. Capable to make your shiny and up to 75% less frizz, the hairdryer comes with 3 heat/2 speed settings and works great for the thick hair. And it’s really affordable too. Never forget to protect your thick hair before heat styling it. The HSI PROFESSIONAL Top 5 Heat Hair Protector & Conditioner is going to protect your hair from heat exposure up to 450F degrees. It’s made with argan oil and works as a leave in conditioning serum too. It leaves your hair hydrated, smooth and frizz-free. The formula has no paraben and no sulfate and is great for the thick hair. if you’re the proud owner of thick hair, learning how to master a blowout is essential for the appearance and health of your hair strands. Blow drying, straightening and curling the thick hair for a nice shape is never easy so you should learn all the tips about a good blowout. You want to keep the number of heat styling tools to a minimum and you may eliminate the frizz and get a nice shape for your curls with one blowout. Practice makes perfect so never stop from trying to put your thick hair under control and in a nice shape too. Look for the omega-3 fatty acids. You can find it in many types of fish, but also in nuts and seeds. Omega-3s is going to add a nice shine to the thick hair, reducing the risk for breakage and strengthening it. Seek for vitamin B6 and B12 and biotin. Almonds, meat, seafood, fish and leafy greens are amazing sources of B-vitamins. One of the best parts about the thick hair is that you can, unlike the thin one, try all sorts of styles. Braids, updos, half-up styles are great options for thick hair and you should try any of them for your thick hair strands. A fishtail braid is also a nice way to manage your thick hair throughout the day. Truth be told, the hairstyle possibilities for the thick hair never ends and make time to try as many as you can. No type of hair is better than other types. There’s always healthy and unhealthy hair, nice looking hair and greasy looking hair, no matter the type of hair. Knowing which type of hair you have is important as you need to find the right hair care products for keeping it healthy and nice looking. Sure, one with thick hair is always going to have so many possibilities in terms of styling, but he/she is always going to have difficulties keeping it moisturized, hydrated and frizz-free. If one with thin hair is always complaining about the constant effort to give the hair body and volume, he/she almost never has to worry about the frizz in the thin hair. At the end of the day, it’s all about how you see it and how interested you are in maintaining healthy and beautiful. That’s the only thing that matters for your hair.